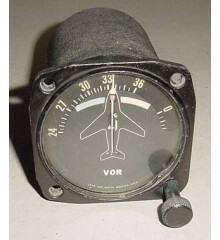 Cessna Aircraft ADF / Goniometer Indicator. Manufactured by Motorola. Model 4086A. P/N 717350-01. It was removed for avionics upgrade. 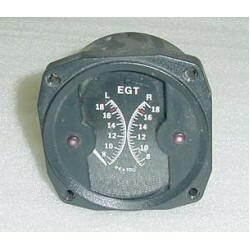 3 1/8" Twin Cessna Aircraft Alcor Exhaust Gas Temperature / EGT Indicator as shown on photo. P/N 45980. 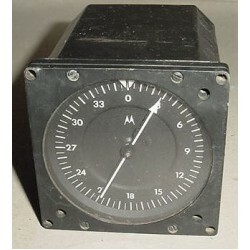 It is a non-working indicator and is sold for display only or for parts, as is, no returns, (right needle is missing and glass face is loose. 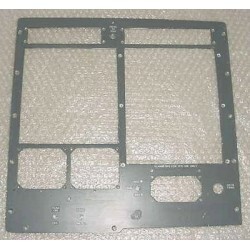 NEW, nos, Cessna / ARC Audio Panel Faceplate / Lightplate, Light Plate. P/N 47219. 28VDC. Cessna 425 Conquest Aircraft Instrument Panel, center section. It measures 14 5/8" wide by 14 5/8" tall at its largest measurements and it is made out of 1/8" thick aluminum. It is in good condition but it can use a good coat of paint to make it look better. It could be put back on a plane or would be great for a mock up panel or just as a pictures' frame. Sold as is, no returns. Cessna 425 Conquest Aircraft Instrument Panel, center section. 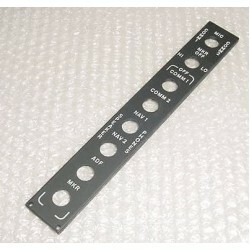 It measures 14 5/8" wide by 14 5/8" tall at its largest measurements and it is made out of 1/8" thick aluminum. It is in good condition but it can use a good coat of paint to make it look better. It could be put ba..
Cessna Aircraft Autopilot DME Control Panel. Type C-476A. P/N 44020-1000. Very clean item. It was removed from a salvage aircraft. 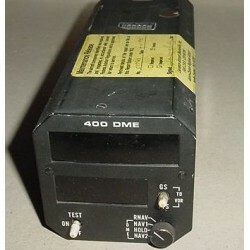 Cessna Aircraft ARC IN-1004A Radio Magnetic RMI Indicator. P/N 46450-0000. It is sold for display only, as is, no returns. NEW!! 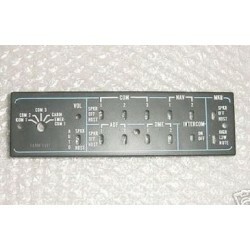 ARC / Cessna Avionics ADF Faceplate. P/N 41784-00000. NEW!! 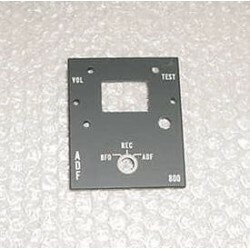 ARC Audio Panel Faceplate / Lightplate. P/N 27037.